Georgie Fear, owner of AskGeorgie.com, is a professional nutrition educator and writer specializing in weight loss counseling, sports nutrition and wellness promotion. She attained an undergraduate degree from Rutgers University in nutritional science and completed a dietetic internship at Cornell University. Vitamin B12, also known as cyanocobalamin or cobalamin, is an essential nutrient involved in many metabolic pathways. The recommended daily intake of Vitamin B12 is 2.4 micrograms per day for adults over the age of 19. Pregnant and lactating women are advised to consume slightly more, 2.6 and 2.8 micrograms, respectively. Most Americans are able to meet thier needs for Vitamin B12 through diet alone, and supplementation is often not necessary. However, some population groups may want to consider including fortified foods in their diet or a B12 supplement. As people age, changes to the digestive system result in less B12 being absorbed from foods. As a result, fortified foods and supplements may be the best source of Vitamin B12 for adults over the age of 50. Strict vegetarian and vegans may also need to consume supplemental B12 or include foods fortified with this nutrient. Because Vitamin B12 occurs naturally in animal-derived foods, people who choose to avoid animal products are most at-risk for inadequate Vitamin B12 intake. Before adding a dietary supplement to your diet, consult your doctor first to discuss what it best for you. Seafood is one of the richest sources of naturally occurring Vitamin B12, particularly shellfish. A 3 oz. 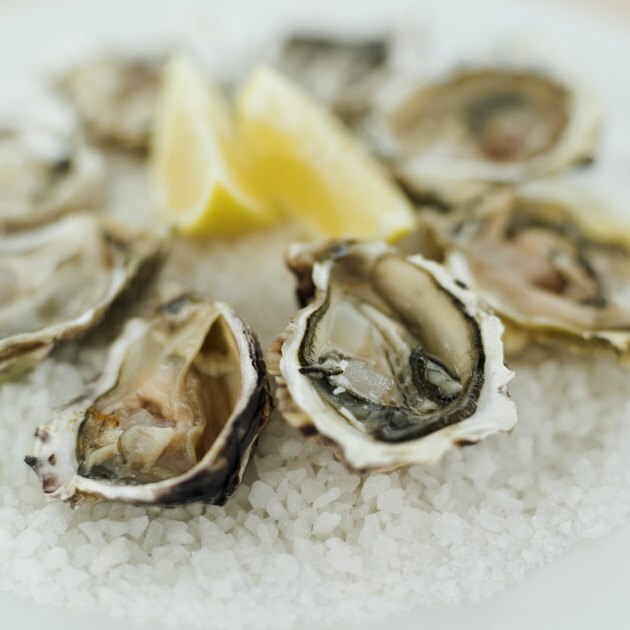 serving of clams provides 84 micrograms of B12, while oysters contain 29 micrograms per 3 oz. 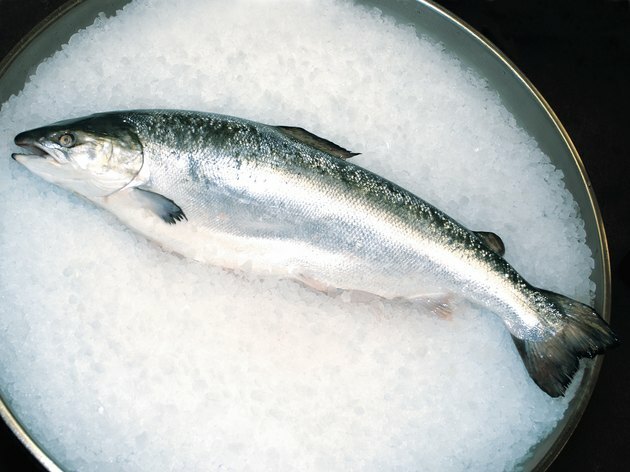 Fin fish, such as mackerel, tuna and salmon, are also good sources. A 3 oz. serving of Atlantic mackerel contains 16 micrograms, bluefin tuna contains 9 micrograms, and salmon contains 2.3 micrograms of Vitamin B12. If you consume fish and/or shellfish on a regular basis, you can easily meet your needs for Vitamin B12. Meat and poultry are also high in Vitamin B12. Three oz. of roasted beef contain 1.3 micrograms B12, while the same portion of roasted chicken or turkey provides 0.3 micrograms. Even for vegetarians who choose not to consume meat or seafood, adequate amounts of Vitamin B12 can be obtained through consuming eggs and dairy foods. Thus, it is easier for lacto-ovo vegetarians to obtain adequate amounts of B12 than vegans, who do not consume any form of meat, eggs or dairy. An 8 oz. cup of skim milk provides 0.9 micrograms of B12, and 1 oz. of most types of cheese provides a similar amount. For most adults, this would equal about 37 percent of the B12 you need for the day. 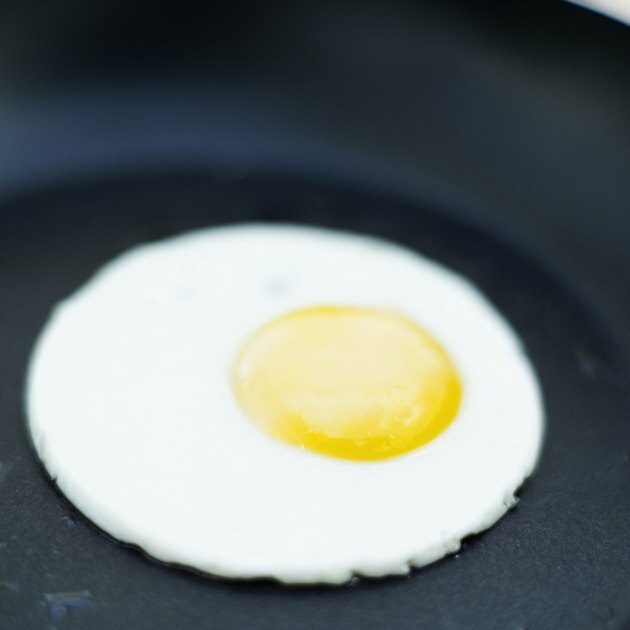 From one large egg, you can obtain 0.6 micrograms of Vitamin B12. If you only eat the egg whites however, you'll miss out on this valuable nutrient, as well as others contained in the yolk. If you're trying to limit cholesterol, consider using an cholesterol-free liquid egg substitute instead of only egg whites, as egg substitutes are typically fortified with Vitamin B12 and other nutrients, such as iron. Vitamin B12 is added to some foods, so even if you don't eat the sources previously mentioned, you can still meet your needs. 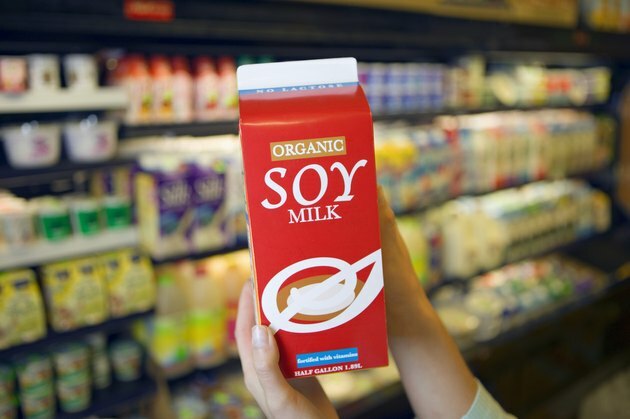 Breakfast cereals, nondairy milks (soy milk, rice milk, among others), soy protein foods, such as vegetarian burgers, and some margarines. Check the Nutrition Facts panel while shopping to see if a product provides Vitamin B12. It is strongly encourages that vegetarians or vegans consume fortified foods on a regular basis to prevent deficiency.